The Measured Progress Client is being pushed out to student laptops by our tech team. The MEA Client (Application) is called eMPowerMEA and should be in the dock. This webpage will serve as a portal to guides and other information you might need to successfully implement the MEA testing. Please use the guide linked below to troubleshoot issues during testing. To access the student tutorials, students will click the Access Practice Test link located at the bottom of the student sign in box. The login screen will change to the practice test login screen. On the Chromebooks you will need to power down to get out of the eMPowerMEA App. TA Test Security and Data Privacy Agreement: Can be downloaded here. Most of you are well on your way toward completing the testing of your students in grades 3-8 on the new eMPowerME assessment. We know that some of you are beginning to plan for any necessary make-up sessions, and we are providing this QuickStart to help you check the status of your students’ progress through the required test sessions. Please remember that make-up sessions are intended for students who missed a test session due to an absence. Students may not return in a make-up session to a test session that was begun on a previous day. You do not need to create new test sessions for make-up purposes as you can access make-up students from you original classes/proctor groups. As you review the status of your students’ test sessions, you should be concerned about any that are indicated as “Not Started.” Those test sessions need to be scheduled. Students must participate in each session of a given content area to be considered a participant in that content area. Any test sessions that are indicated as “In Progress” or as “Finished” should not concern you. “In Progress” tests will be automatically submitted at the end of the testing window. Do not reopen “In Progress” tests to submit them. Help with unforeseen complications interrupt or cause concern during a test session. There may be instances where unforeseen complications interrupt or cause concern during a test session. Previous instructions from the Maine DOE for reporting irregularities involved an initial contact through a SurveyMonkey followed by a secure email interaction utilizing an Excel spreadsheet. We, and some of you, have found that this was not an efficient system for addressing the time-sensitive issues that have arisen. This note will provide revised guidance for dealing with the types of situations that have been reported. We have been asked about appropriate ways for students to represent their mathematical ideas (e.g., fractions, equations). This can be done in several ways. Text, numbers, and symbols can be typed into the answer box in any form that a human being can read and make sense of it. Mathematical responses could alternatively be created in the equation editor, f(x). Students should NOT create responses using the digital highlighter or digital pencil tools. Responses created with these tools will not be visible to a human scorer. One of the critical requirements of a successful launch of the eMPower™ME assessment on Monday, March 21, is having the students that need to be tested available in the MEA Online Portal. Generally, that will be the case. This note provides guidance for how to most efficiently respond when the students available in the portal do not accurately match those that need to be tested. The most important step to ensuring an accurate collection of students for testing is having students accurately coded in Infinite Campus State Edition (ICSE). The Maine DOE feeds data from ICSE into the MEA Online Portal. That process often depends on the collaboration of multiple school districts and multiple organizations. It might not be as immediate as you need when you are ready to test your students. If the student is in the MEA Online Portal but is not included in a test session, the attached directions, Adding a Student to an Existing Test Session, should be followed to add the student to the test session. This will be necessary, for example, if a student’s Text-to-Speech accommodation was added after the test session was created. If there are students associated with your school in the MEA Online Portal on test day that you know are not enrolled in that school, you should be comfortable ignoring them. Also, if you find students in the MEA Online Portal who are assigned to the alternate assessment, you may ignore them. Only those students that are enrolled in your school/SAU on April 15 and eligible for the eMPowerME assessment will contribute to your school’s participation rates or performance on the eMPowerME assessment. How do I add a student to a class or remove a student from a class? Rosters must be updated in Infinite Campus which happens every 24 hours. Once the student is available in the MEA Online Portal, you will be able to add the student to an existing test session in your district, following the instructions in the attached document, Adding a Student to an Existing Test Session. First, make sure the student is unenrolled in Infinite Campus State Edition. Second, communication with the new school district is critical. The new school district will be able to administer any test sessions that have not yet been administered. However, they will only know which test sessions to administer if you provide information about what test sessions the student has already completed. First, make sure the student is properly enrolled in Infinite Campus State Edition. Second, it is critical that you communicate with the previous school district. You will be able to administer any test sessions that have not yet been administered. However, the MEA Online Portal will NOT provide information about what test sessions the student has already completed. You need to obtain that information from the previous school district. Once you are clear about the test sessions your new student has yet to take, you should make sure that your new student has the opportunity to take the remaining test sessions. The student’s test sessions taken in the two different settings, will be combined to create one report for the student. To add the student to an existing test session in your district, follow the instructions in the attached document, Adding a Student to an Existing Test Session. 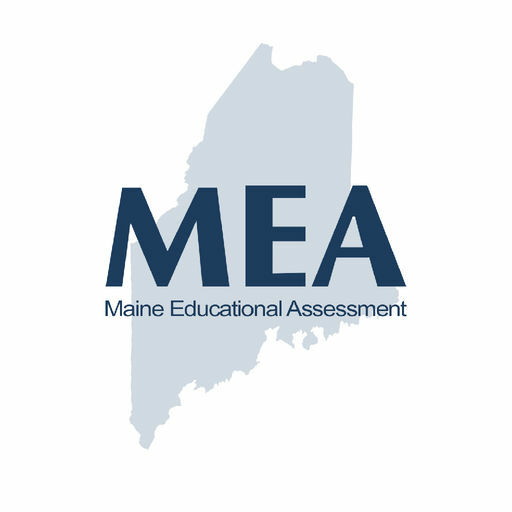 To best prepare Test Administrators and Proctors for a successful administration of this spring’s Maine Educational Assessment in Mathematics and English Language Arts/Literacy for grades 3 through 8, the following resources are provided. Prior to testing, Test Administrators and Proctors must be familiar with the Test Administration Manual found here. All Test Administrators and Proctors are required to sign the TA Test Security and Data Privacy Agreement which can be downloaded here. In addition, Maine DOE recommends two segments of the eMPower™ ME Accessibility: Tools, Supports & Accommodations webinar (25 minutes). The first segment is at 4:40 minutes in to 8:05, and the second segment is 11:02 minutes in to 20 minutes. These segments will familiarize TAs with the embedded tools, testing taking aids, and basic navigation of the test environment. They are ideal for TAs who wish to work through the practice tests with their students but are short on time. With the availability of paper-based, browser-based, and kiosk-based practice tests/sample items, the following documents outline the Directions for Administration (DFA) of Paper-Pencil and Online Sample Items for eMPower™ME Mathematics and English Language Arts/Literacy. Assessment Coordinator Nancy Godfrey at nancy.godfrey@maine.gov.